Although you can reduce your energy bills by making small changes to the way you live, bigger changes such as installing a new central heating boiler or 'solar' panels can be expensive. There may be offers available to help keep these costs down, or you might qualify for a grant. Also bear in mind that if you generate your own electricity by installing 'solar' panels the electricity company may even pay you for any extra energy that you don't use! To find out more use the links below or call the Energy Saving Trust Helpline on 0800 512 012. The Welsh Assembly Government has set up the Nest Scheme which offers eligible households free home improvements to help heat their homes more efficiently and stay warm without facing huge energy bills. 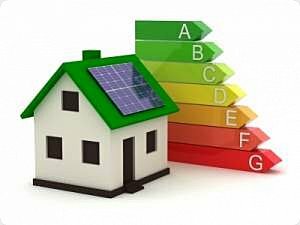 To qualify for help you must be receiving a means tested benefit and your property must have an energy efficiency rating of F or G. You must also either own your home or be living in privately rented accommodation. For more information call 0800 512 012. If you generate your own electricity, for instance by installing solar panels or a wind turbine, you can benefit from reduced energy bills as well as a payment from your electricity company for each unit of energy generated and any excess fed into the national grid. Remember that there are installation costs involved and you should take advice about the options that might suit you.